Desi Smith/Staff Photo. Emily Harney who will teach next years photography class at Gloucester High School, poses for a photo for photography student Vincenzo Dimino, who will enter next year as a senior. 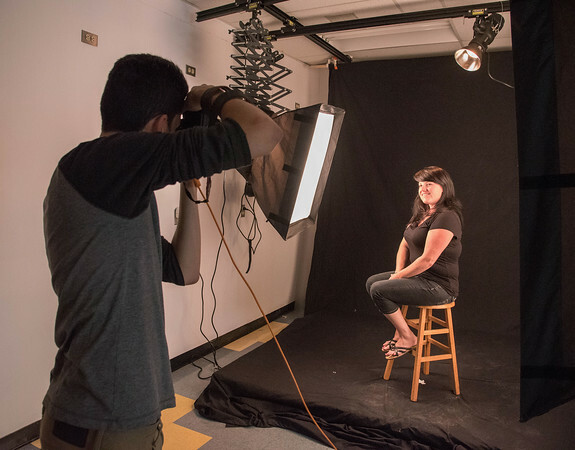 An opening was held Thursday afternoon to tour the new photo studio lab with $40,000 worth of donated equipment and pledge of $20,000 a year over 5 years from local photo artist Rob Amory.